In June 2015, the Australian Diabetes Educators Association (ADEA) established the ADEA Diabetes Research Foundation (ADRF) to fund critical diabetes-related research as part of its strategy to strengthen its research contribution. This included donating $250,000 in seed capital to develop a charitable trust legal structure, provide initial working capital and fund the first round of diabetes research by Australian universities. 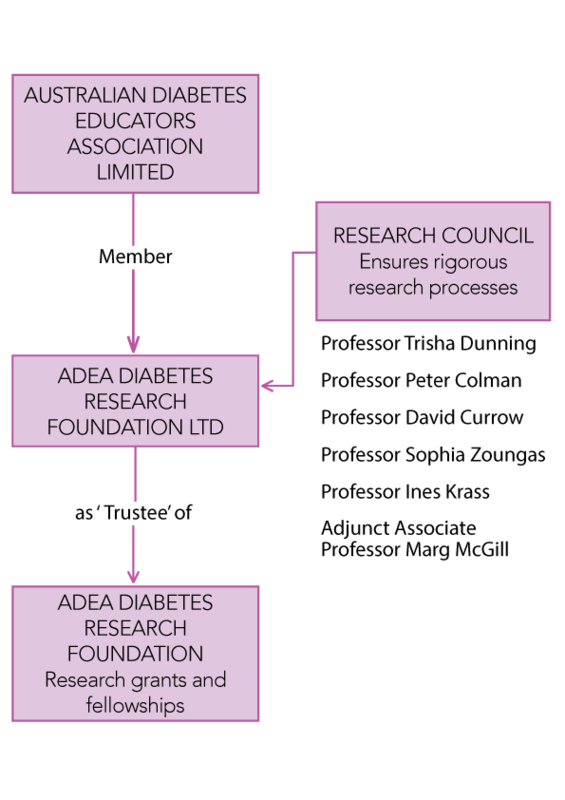 The associated trustee company, ADEA Diabetes Research Foundation Limited (Trustee), is a not-for-profit company limited by guarantee with the ADEA as its sole member. ADEA is also a not-for-profit member-based company registered with the ACNC with DGR status. The Foundation is managed by a not-for-profit company limited by guarantee ADEA Diabetes Research Foundation Limited, who acts as the Trustee of the ADEA Diabetes Research Foundation, with reference to independent advice from the ADEA Diabetes Research Foundation Council. Research is underway in Australia and across the world to find a cure for diabetes and to inform clinical guidelines. The ADEA Diabetes Research Foundation complements this work. The Foundation’s research program enables people living with diabetes and their diabetes care team to work together to identify questions, find answers and use this new knowledge to support people as they work hard every day to live well with their diabetes.